The broken wings of life. We cannot fly without two wings. Wings representing past and present. If a broken wing of past exists, we fly counter-clockwise or counter productive fashion…circling and spiraling into our own pain. While important to feel pain it is equally important to keep flight. Likewise if wings of future are broken we spin aimlessly in a clockwise fashion…circling without any direction. Moving forward with continuous reflection on past and present, keeping a forward momentum. I often go through cycles of wanting to give up writing and worrying about the ‘others.’ Finding peace and magic that creates a beautiful, happy life…we live happily ever after. So why do I care what others care about? Not sure for the reasons which keep me going, but every time I get to this place of wanting to shutdown my PC or sharing my thoughts…Spirit gives a little nudge…offering a reminder as to why I am here. Those outside of our immediate connections, the friends and co-workers or as I like to call them ‘the others,’ are easiest to give up on, but it is the close and personal friendships or even those closest to us, as our families tugging at our heart strings the most. 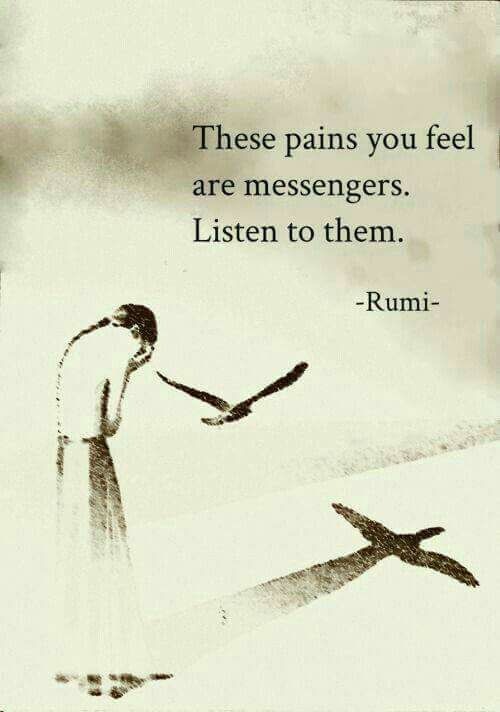 With their pain, we experience pain. So what do we do? Nothing…simply hold a space of healing for them whilst remaining in our own personal healing space of happiness. Whether through prayer or positive intentions, our thoughts can change the thoughts of others in an indirect fashion. I have witnessed many miraculous changes in consciousness, among the others…some single and some a coupled relationships. The single person has it easiest as they can simply move on with a “Not my circus, not my monkey” attitude, but those in a relationship have a more difficult time in coping with the many changes of life. We all go through our ‘life changes’ at different time intervals and some take longer or may not wish to change…leaving more choices in life. We can be patient or we can wash our hands of waiting for the others to wake up to a reality of knowing their is always another way of living…a life of pure happiness. Raw, unmasked happiness. Just as I often don’t have the answers for myself, in difficult situations…I surely do not have advice for another. I can give them worldly or spiritual advice, but ultimately this comes down to their own choice. I will note that this person is not seriously verbally abused, but normal according to normal standards of ups and downs in a relationship, lending some relief as to not flee immediately towards finding shelter or refuge. There are cases were the abuse is too great and harm is brought upon a person…to that I say run as fast you can. In other case, which seem to be the normal disagreements in a relationship, when two people begin seeing things differently, we again are left feeling empty or alone…having to make difficult decisions. Are we happy? Have we forgotten how to be happy? Is our unhappiness a result of our current situation or the misery presented by our closest person? If the answer is yes, we have a choice to remain in their pain or go seek our own happiness. Where do we find it? This is the tricky part. Too often I witness persons in this sort of situation, where they are seduced by kindness of another, leading them to doing something that will ultimately bring more unhappiness and regret. The magic is within the self and the happiness is wherever we decide to place it. Whether painting, walking, writing or sky-diving…there is always something to bring us happiness. The simplest of things can often bring us the most joy. Is it a favorite song? A favorite book? Whatever the case for happiness, we always have choice to find our own happiness. Our own happiness is up to ourselves and the ‘others’ happiness is up to themselves. However, by remaining in happiness, sharing a kind word or introducing them to another way of looking at things…they are then given a choice of finding their own happiness. Sadly, they may not want to…yet?! However…they may?! 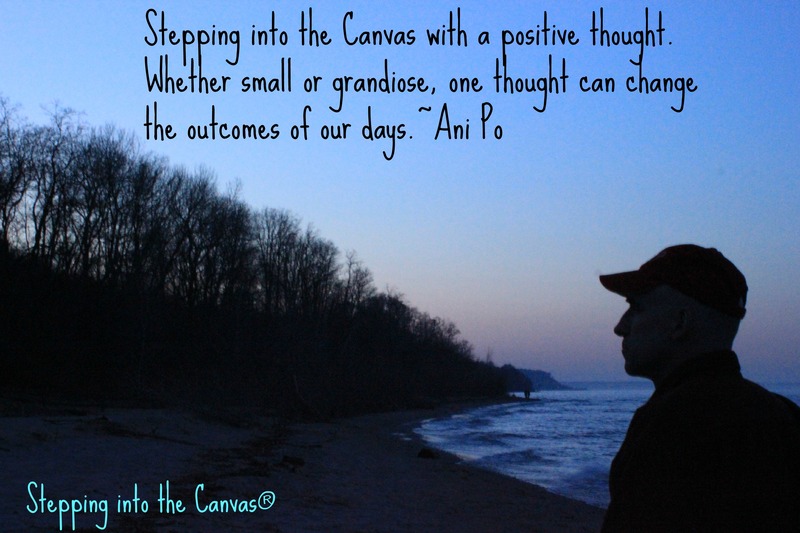 Stepping into the Canvas with a positive thought. Whether small or grandiose, one thought can change the outcomes of our days. Further, this one thought can have a large impact on another persons day.